Greetings and thank you for visiting my site. My name is JoAnn Chambers and my spiritual name is Shivanti (shee-vawn-ti). I have maintained a private practice in the Evolutionary Healing Arts since 1985, starting with massage, deep tissue, structural bodywork (rolfing®/postural integration®), energy healing, clairvoyant readings, shamanic journeying and DNA Activation. I would like to share a bit about myself so you can get to know my work better, which should make you feel more comfortable requesting a session with me. I maintain an online practice as well as working in my Odyssey Sound & Light Healing Temple in St. Petersburg, Florida. You can visit me here if you are in the area or when vacationing at one of our beautiful West Coast Beaches. I also work as a massage therapist at a 4 star luxury hotel and spa – Don Cesar | Spa Oceana. You can request me for massages and spa treatments there. Contact me first and I can possibly get you some discounts on services. The name emanates from many lives I have lived in India developing my spiritual self. This name evolved over time as I was emerging and stepping further into divine union with Source Vibration. 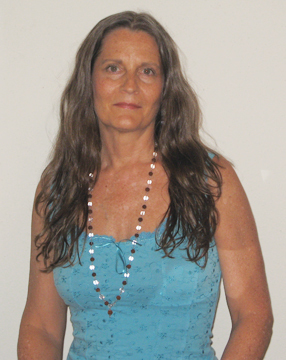 Hi there, my name JoAnn Chambers and my spiritual name is Shivanti – I have been walking my spiritual path this lifetime for over 30 years and have uncovered many pastlife times where I also offered services as a spiritual guide. I have been an energy healer during the times of Atlantis and during many incarnations in India as well as some Toltec Shamanic lives. I bring these teachings through during my sessions with people in various ways to assist clients to find their way to their own inner Light. I have maintained a private practice as a vibrational healer since 1985. My real world certifications have included many modalities in the massage field – esalen, neuromuscular, cranial sacral & postural integration, which is similar to Rolfing. I was a licensed massage therapist in Florida and maintained a private practice for 15 years. I am a certified psychophysical therapist, which combines bodywork and psychology to assist in releasing traumas and blocks in the body, mind & emotions. I have been studying related fields like anatomy & physiology, nutrition, yoga, psychology, philosophy, personal growth, spirituality, metaphysics and quantum physics. Over the years, my work continued to evolve to the etheric levels the deeper I engaged with my clients. I awakened my clairvoyant, clairaudient and clairsentient abilities while working in these energetic spaces. This was brought about primarily by working with the multidimensional DNA Activation music of Shapeshifter. I met my husband Gary in 1987 and we started to bring our work together, something we realized we had done many times before in other lives. As I starting using his music with my clients during sessions, I began to see energy patterns emerging as they were releasing from my clients bodies. As they were letting go, these enegetic imprints became visual for me and I was able to interpret them into information that could be used by the client to further unfold these patterns and bring forth higher states of healing. I was able to see the chakra movements and the aura patterns on many different levels of my clients. Pastlife scenarios would flash across my third eye vision just like movies being played in a theatre. The multidimensional music facilitated this work in so many ways. I am also skilled as a graphic artist, so I am able to use my skills there to create visual portraits of what I see, which evolved into doing the aura portraits. I have been combining these skills since 1995 by offering my services on the internet. I no longer see people in the physical world, but work remotely via the internet. I find that by elminating the physical connection, it allows myself and the client to focus on the energy involved and much greater healing can take place as a result. Recently my inner vision has opened up to a new level and I am seeing more holographically now and able to move energy imprints around to see what is behind them or attached to them. This is taking my work to a whole new level. I am a vibrational healer and a shaman, which means I work with sound, vibrations and energy to bring about a higher state of being with my clients. I am able to travel into many realms to see from a more holistic place what is transpiring in a persons energy field. Healing on various levels occur if the client is in a receptive state and it is in alignment with their higher path and purpose at that time. I am not interested in healing disease, nor do I profess to do so. What my goal is in my work is to help the client understand who they are from the higher place of Light. I assist in helping you to reconnect to your soul essence and when that occurs is when I feel true healings can fully manifest and ground into tangible forms. I have healed myself of many maladies of the physical form over the past several decades, I have even touched into the energy of death many times and have completely transformed my being into one of vibrant health. I have been on the journey myself and fully understand the many stages that one goes through into order to come to a place of being healed. I am now working on my personal ascension process and building my Lightbody in preparation for this journey. The process is an evolutionary one and one that requires you to fully accept responsibility for all the manifestations in your life. I believe that it is paramount to that process to learn about your predominant pastlife patterns, as they come forth with you into each new life in order for you to discover how to move to a higher state of balance. If left uncovered, these imprints lead to disease processes in the physical and emotional bodies. I have been working with many clients over a period of many years and have been able to monitor their spiritual growth by being able to SEE their energy dynamics shift and change. There are commonalities that I have observed in watching others go through this process that greatly assist me in being able to help others with their unfolding journey. I believe a healer is someone who shares their Light, allowing the client to choose to receive a new vibration or frequency with which to experience their life and path. It is not forced or push upon one, but something that is chosen from their own free will in that moment. I consider myself a spiritual guide and feel I have many realms of knowledge developed from which I can offer guidance to those who seek counsel with me. I feel everyone has the ability to live in higher states of joy and bliss as they learn how to incorporate higher teachings in their lives. If you feel I can be of assistance to you on your journey, please browse through my offerings at my website, The 3rd Eye, to see which type of reading might be best for you at this time. As a place to begin, I often suggest you start with the chakra reading as that gives you a good baseline reading to start with. It will help you to understand where you are most potent in your energy and where you need to do some work in order to release and shift your patterns. From there I recommend the aura portaits as that allows me to look into all the auric layers to see what is hanging out in your energy field that might be causing you problems or difficulties as well as what higher energies are there to support you. After that, we go on to the pastlife readings which will most likely have come up in the aura portraits as well. My guidance brings me to the deep level core patterns that you need to unravel in order to get a release of energy and a boost of Light into your field. These can go very deep into some of your pastlife imprints and I find that there are generally less than 5 pastlives that are really important for you to know about. Each one is progressively deeper than the last one. I really like clients to take a few months in between sessions to work with the information given and to make a shift. The chakra and aura portraits are a great way to monitor your progress as you can visually see the shifts you are making by having these done. The DNA Activation process can really begin anytime you feel ready to fully commit to your spiritual path and I will always require that you work with the DNA Activation soundscapes by Shapeshifter as we are doing this work to enhance what we are doing. The soundscapes will facilitate the process in ways that the work alone cannot do. The music will help you to hold more of the session after they are completed, by taking it all to the energetic realms of Light. All of the music in our Visionary Music catalog will be of assistance and I can always offer guidance on which one will be best at which time. I look forward to working with you and if you’d like to talk to me before starting any of the sessions, please feel free to click on the live chat button on my website or email me. I am also available to do an intro consult with you before you begin working with me. Along with my husband Gary, we have created a lot of related content (multidimensional soundscapes, books, podcasts, webinars, videos, etc) at our Visionary Music & Multimedia website. Together we are the multi-talented creative team called ShapeshifterDNA. In addition to my healing practice I am also a graphic artist, web developer and digital content creator. Visit my site to see my portfolio.